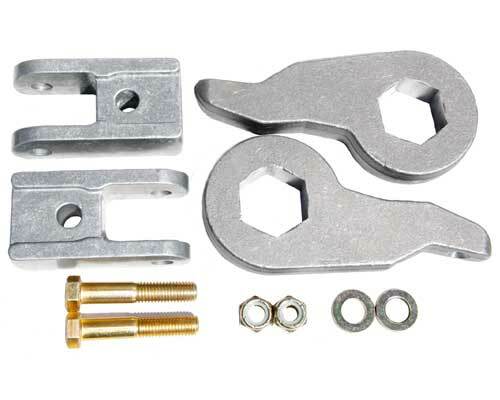 Forged torsion keys for 1.5" to 3" (adjustable) lift without overcranking your torsion bars and stiffening your ride. Shock Extensions are also included to allow for the use of factory shocks. No need for longer shocks!